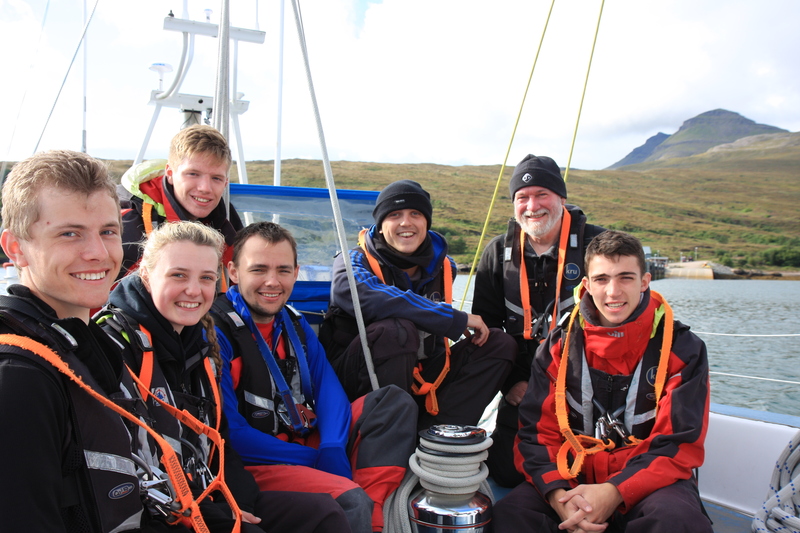 The annual HQ Air Cadets/Ocean Youth Trust Scotland West Coast Challenge offshore sailing expedition for senior cadets aged 18 years and over took place from the 18th to the 24th of August 2014. 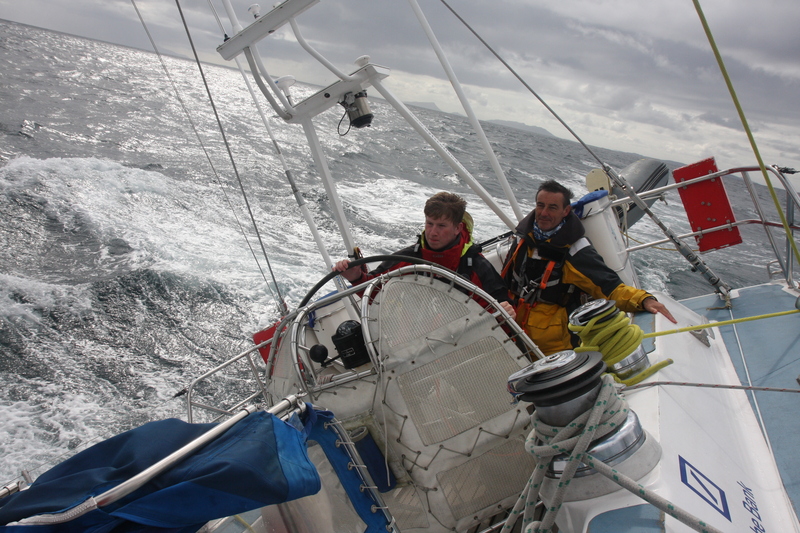 Sailing out of Oban on-board Alba Explorer under the watchful eyes and expert guidance of the OYT Scotland sea-staff the novice crew were to experience a challenging and demanding seven days crewing the 72’ yacht around the remote and stunning Western Isles. As we sailed out of Oban the senior cadets were only just getting to grips with life at sea, none of them having any previous experience of this type of sailing. 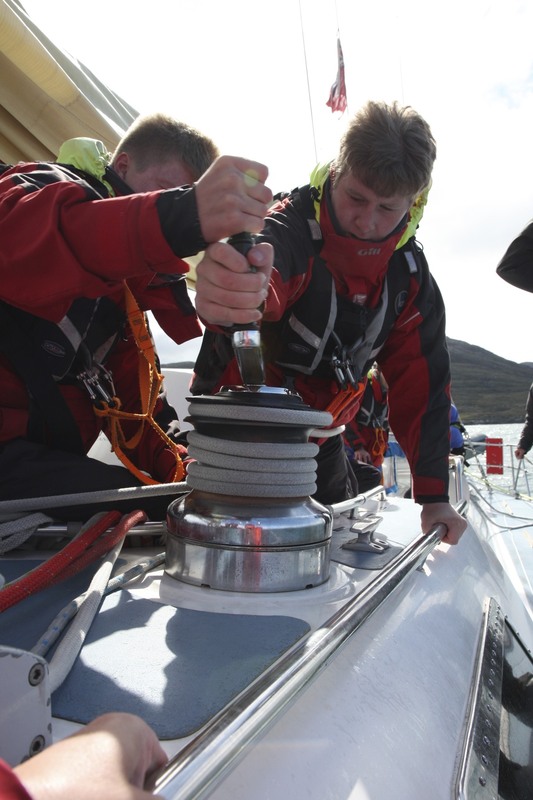 The dedicated and experienced OYT Scotland sea staff taught the cadets the skills and knowledge that was required for them to obtain their competent crew qualification and also be able to fully operate and run the 72′ yacht themselves. 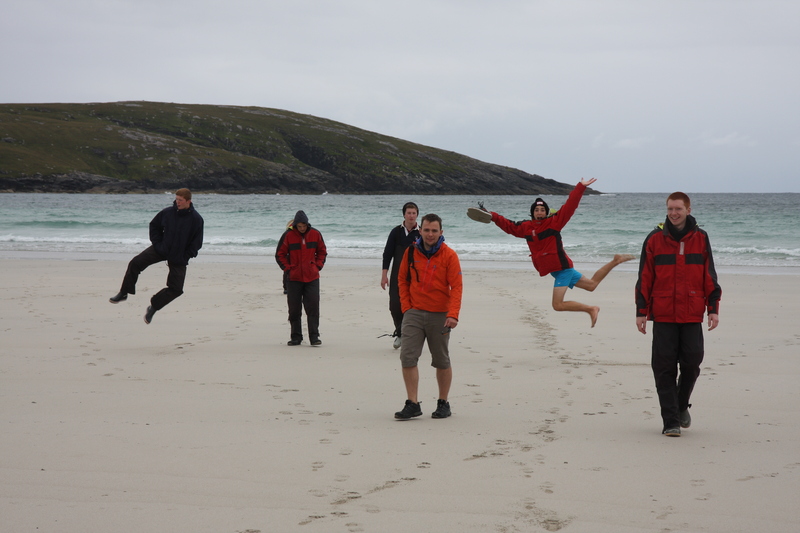 The team managed to sail and navigate around some of the most beautiful places in the Hebrides including Vatersay, Lochmaddy, Scalpay and the Isle of Rum and on some occasions were able to go ashore and explore the beautiful islands. On the return journey to Oban the cadets were given the incredible opportunity to take over the complete running of the yacht under ‘light-touch’ supervision from the sea-staff. The 10 senior cadets took up the challenge, using the skills and knowledge they had learnt throughout the week to plan the route, navigate and sail the vessel safely and with a high degree of competence. To see the difference in the cadets knowledge and understanding of the running of the boat from when they first stepped aboard was incredible and it made me feel especially proud to watch them working as such a tight knit team, allowing the yacht to arrive safely into Oban on the Saturday night. ‘Venture Adventure” is the ATC’s motto, and I can honestly say that this week spent sailing with the OYT Scotland fits this motto like a glove. Never in four years as a cadet have experienced a week so challenging, learnt so much or explored to such a degree. The highlights include: the beautiful remote landscape of Scotland, dolphins leaping with glee and simply being able to steer a 72 ft Yacht through crashing waves.’ Cdt Sgt Peter Bache, 328 Sqn. ‘I had a really good day today – plenty of wind and blue skies. We started to work really well as a team and nailed some tacks. A few of us had to adjust to the choppy conditions… But we are now anchored in a beautiful bay to round the day off.’ – Cdt FS Chris Caldicott, 492 Sqn. ‘I had a great time during the week and thoroughly enjoyed myself. It has been a great experience that I really want to do again.’ – Cdt Sgt Ryan Arundale, 317 Sqn. ‘Amazing week, really enjoyed myself. I am made up to have been part of the team’ – Cdt Sgt Anna Forde, 2348 Sqn. ‘The Spag Bol was amazing – except for the fear of being sick 5 minutes later!’ – CWO Chris Wardell, 312 Sqn. ‘Brilliant last day… all the Competent Crew skills that we learnt throughout the week came together and everyone worked well within the team’ – Cdt Sgt Dan Richardson, 110 Sqn. ‘Sailing around the western isles of Scotland was an amazing, unforgettable experience. 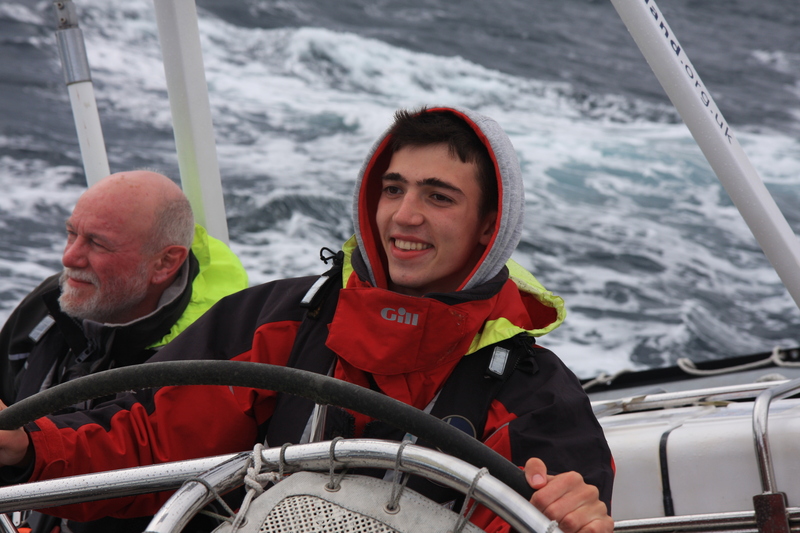 I have gained invaluable life skills from the voyage it was everything I had anticipated it to be – fun, adventurous and challenging.’ – Cdt Sgt Fabian Noble, 1036 Sqn. ‘The week was absolutely wonderful! I have memories that will last a lifetime. 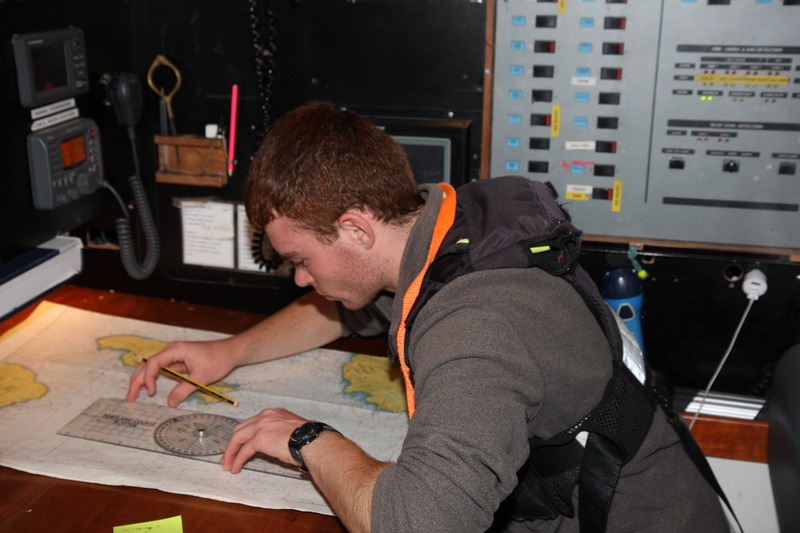 Being at the helm of the Alba Explorer was exhilarating!’ – CWO Danny Murphy, 2348 Sqn. ‘I would totally recommend to others; it was hard work but a lot of fun! The weather was rough at times and living so close to other people was challenging but all in all it was a great experience.’ – Cdt Cpl Richard Wilson, 96 Sqn. ‘I’ve had such an amazing week being part of an amazing team. It’s been spectacular doing something new which I would never have done without the opportunity given to us by the ATC. ‘ – Cdt FS Adam Edwards, 333 Sqn. The members of the West Coast Challenge Expedition 2014 would like to express their gratitude to the Trustees and Officers of the Ulysses Trust and to the RAF Charitable Trust for their generous support and for once again helping to make this incredible experience available to our senior cadets from across the United Kingdom. Thanks also go to Headquarters Air Cadets for organising the expedition and to the staff and volunteers at Ocean Youth Trust Scotland for their professionalism, support and patience throughout the voyage.